Want to help a dog who has been completely confined inside a house for 3-5 years with 10 other dogs, walking on 2 feet of feces and urine that has been packed down and never cleaned? That happened right here in Huntsville. Their owner didn’t live there, but went by to feed them once a day. 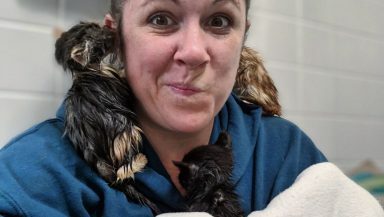 A few weeks ago, these Aussie mixes got out of that awful place that had become their comfort zone for so long, where they were never allowed outside. 3-5 years! We are thankful for Huntsville Animal Services removing them and for asking for our help to rehabilitate them so they won’t have to die. 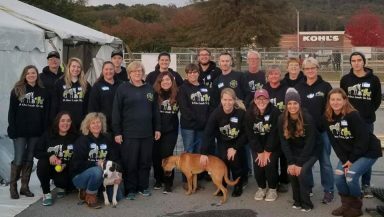 Two years ago, we started our brand new program Personality Paddock program by building open-air 35×50 ft and 25×100 ft grassy paddocks to house dogs from the city shelter who are about to be euthanized for bad behavior. We have learned from years of rescuing, that you cannot assess a dog’s behavior (good or bad) successfully in a stressful shelter setting. They just don’t show their true personalities in that scary, caged setting. 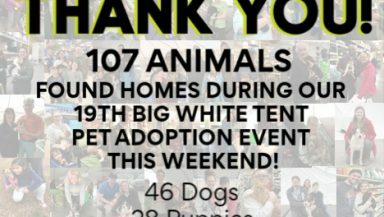 All but 1 of the dogs we have pulled to date have been successfully rehabilitated after they had adequate time to relax and interact with our volunteers…and are adopted! This group of dogs now has a heated and cooled room with a doggie door out to a very large paddock. We also need DONATIONS of dog food and money to care for them. 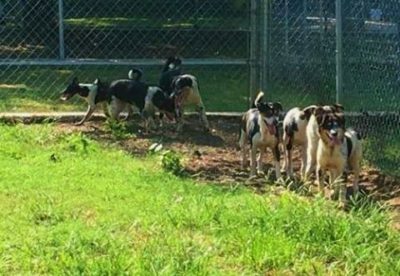 Our website, www.anewleash.org, has a DONATE tab or you can send a check to ANLOL, 707 Andrew Jackson Way, Huntsville, AL 35801. Jump In! Together, we can SAVE THEM ALL!